The political leader and executive of the United Workers Party of Saint Lucia congratulates Mr. Lennox Linton on his election as political leader of the United Workers Party of Dominica. 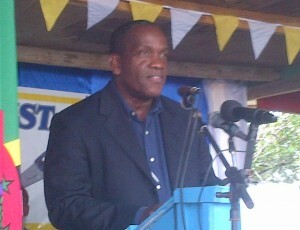 Mr. Linton received the unanimous vote of party members during the UWP’s Delegates Conference held yesterday in the east coast village of Castle Bruce, Dominica. Political Leader of the United Workers Party of Saint Lucia Mr. Allen Chastanet, who recently received a resounding vote of confidence from delegates of his party, greeted Mr. Linton’s election with the following comments: “We welcome Mr. Linton’s ascension to the helm of the United Workers Party of Dominica. We look forward to holding talks soon on regional issues of mutual interest”.